Barcode label generator application is perfect solution for all postal and banking barcode labeling requirements. Barcode labeling software allows banking corporations to increase their operational efficiency and profitability using barcode tags. Using barcode labeling software you can create various labels in different formats including Tags, Stickers, Labels and Coupons etc. You can easily generates clear and concise barcodes labels and saves created images in JPEG, TIFF, Bitmap, PNG, WMF, EMF, EXIF and GIF file format at user specified location on PC using barcode software. 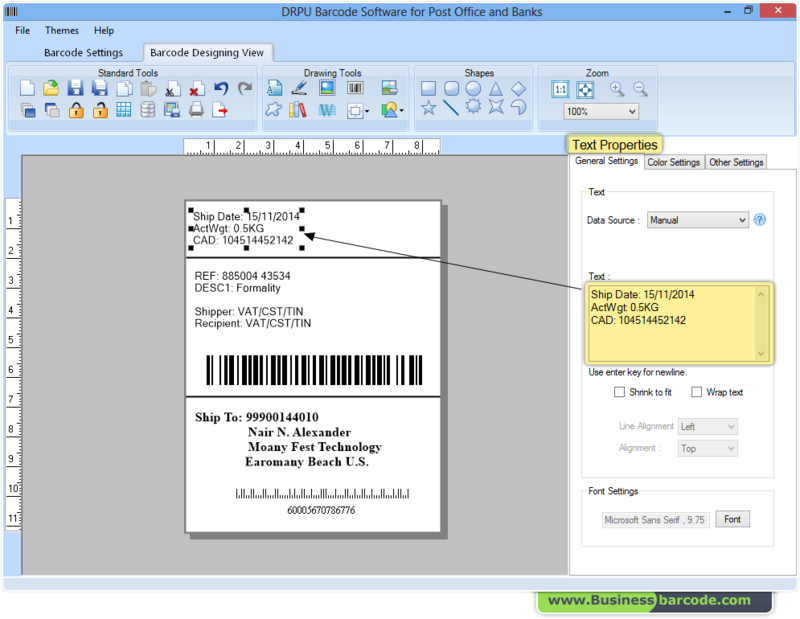 Design Post office and Bank industry barcode image using Barcode Designing view.